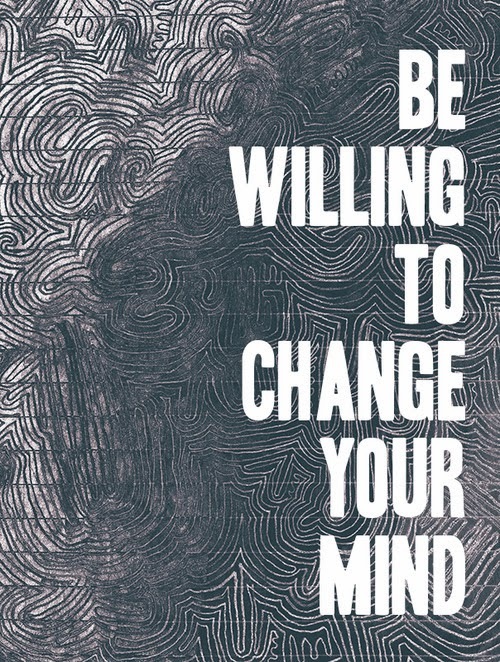 ...keeping in mind that all things change, be willing to change your mind. Knowing that there is balance means that at times there is imbalance- both are necessary. Like a pendulum that swings back + forth energy moves...be open enough to let it flow where it may. Don't hold onto anything so tightly that it is held captive. Let things go that are not meant for you + trust that in their place something new will arrive that will fit- fit into the tiny holes left vacant.